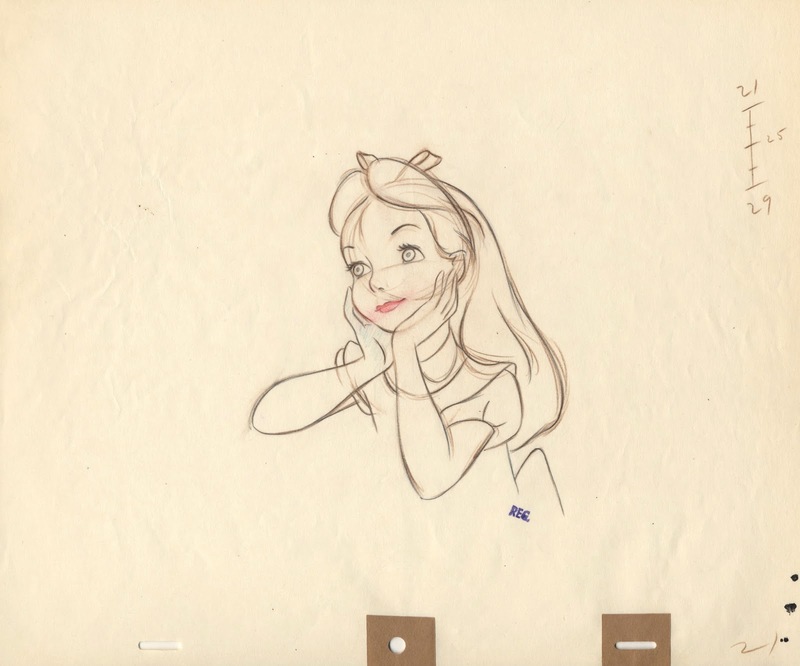 Most everyone knows that the rough drawings done by Disney animators needed to go through a Clean Up process. The clean up assistant would take a new sheet of paper and trace the pose by applying a fine line. But then there was Touch Up. 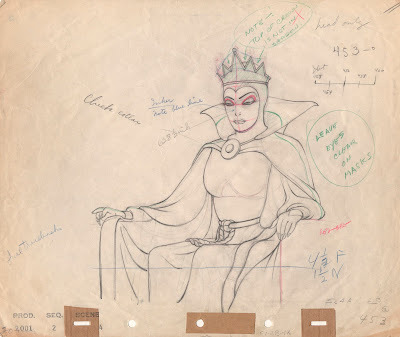 If the character was drawn on model, meaning proportions and subtleties were close to the character's final design, no new sheet of paper was necessary. The assistant took an eraser and rubbed down loose construction lines, before adding tight outlines on the same sheet. The drawings ended up looking clean, but the animator's underdrawing was still visible. Later the inkers ignored those loose, light lines and only traced the solid thin black lines on to cels. The drawing above of the Queen from Snow White demonstrates this process. 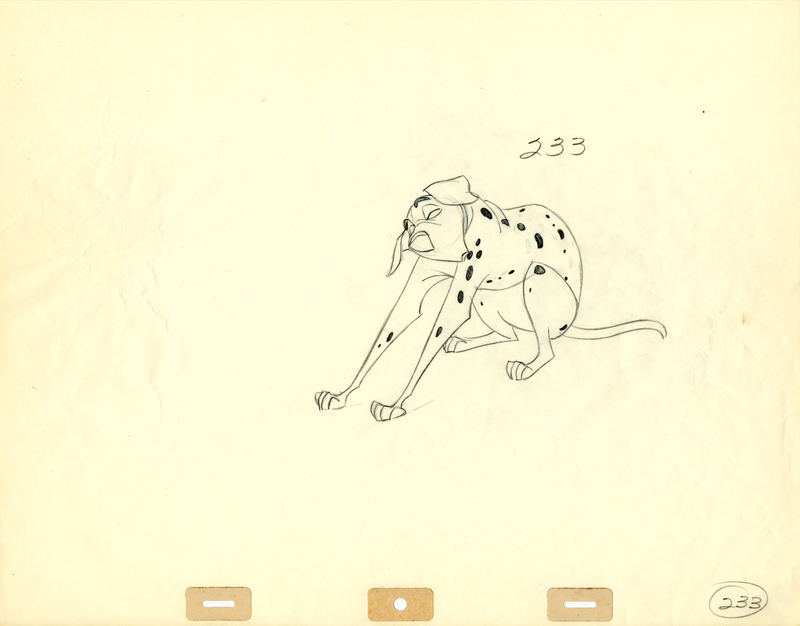 There are clean pencil lines defining the final appearance of the character, but you can still detect animator Art Babbitt's rough underdrawing. I would love to find out how Art drew the Queen before a touch up assistant got his hands on the scene. 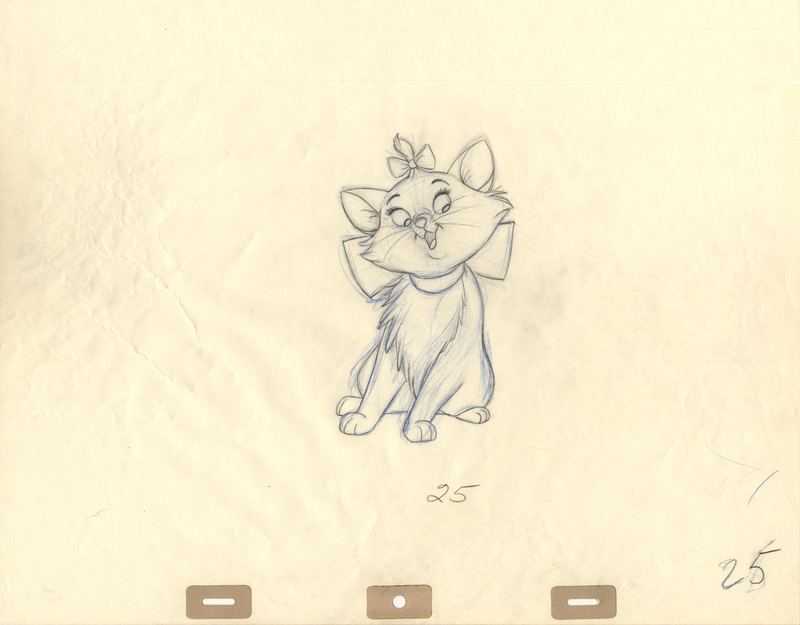 Almost all of Milt Kahl's work was touched up, after all, he usually created the final look for most characters, in his own words: "I WAS the Disney style." 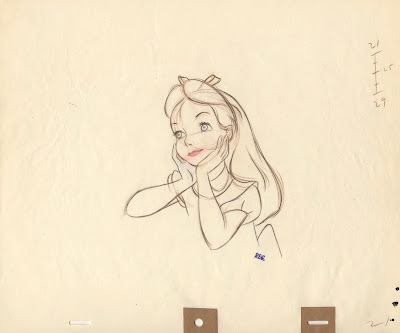 This Alice drawing is from one of Milt's first scenes he did for the film, when Alice meets the Caterpillar. 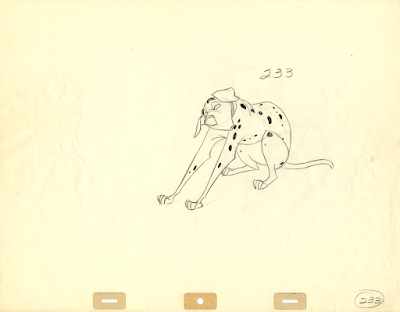 Years later, starting with 101 Dalmatians, those touched up drawings were not inked anymore, instead they were xeroxed on to cels. 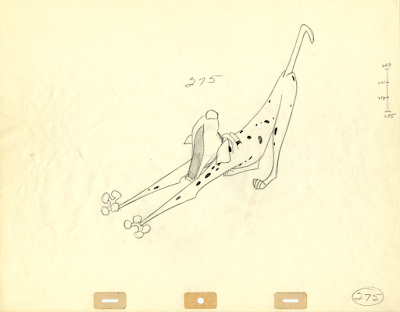 You can bet that Milt's drawings of Pongo stretching looked somewhat loser before being tied down b y an assistant. A lot of Ollie Johnston's animation was touched up. 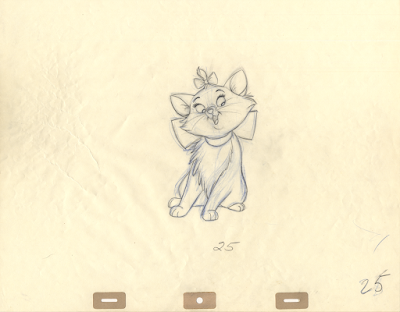 Often Ollie would only use a blue pencil for his rough animation. The black pencil lines were added by his assistant. The work of Frank Thomas, John Lounsbery, Eric Larson an Woolie was often touched up, except for when the rough drawings needed to be brought on model.